It's just under two months until the release of Marvel Studios' first female-led superhero movie: Captain Marvel. 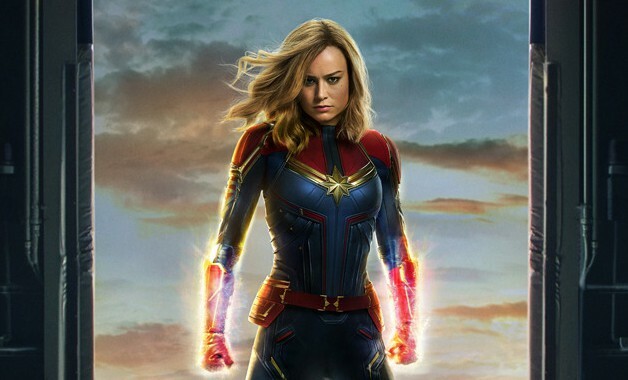 Starring Brie Larson as the titular Captain Marvel/Carol Danvers, and directed by relative unknowns Anna Boden and Ryan Fleck, Captain Marvel promises to tell the story of the MCU's strongest superhero to date. Since the movie's yet to be released, all we really have to go on is the promotional trailers they've released so far, none of which are particularly exhilarating or exciting. That fact in itself doesn't necessarily mean a whole lot, some movies with great trailers go on to be utter train-wreaks when they're released, case in point: Suicide Squad. Other movies have underwhelming trailers and prove to be surprisingly good; I'll direct your attention to the brilliant Drive. I'll reserve judgement until the movie is released. What I what to talk about is a problem I perceive could happen with this character: the Superman Problem. First off, let me define what I mean when I say the Superman Problem. I understand that Captain Marvel doesn't have the same abilities as Superman, it's nothing to do with that. For me, the Superman Problem is an issue that arises when your central hero is almost too perfect in every way to the point where they become a charisma vacuum spouting off righteous and virtuous statements in a manner that makes them, ironically, unbelievable. This is a problem that's affected many movies of recent years such as Captain America: The First Avenger, Wonder Woman, and Black Panther. I felt that Black Panther was a particularly egregious offender in this regard as Chadwick Boseman's T'Challa crumbles under the charismatic weight of Michael B. Jordan's engaging and enthralling villain. Black Panther is still a good movie, but its hero was sidelined in many ways, to the point where his disappearance at the end of the second act didn't really bother me in anyway, I was happy to be spending more time to Jordan's villainous Killmonger. T'Challa is just too perfect: he's an amazing warrior, a benevolent king, an all-round morally virtuous guy. His lack of flaws creates a problem of engagement that was characteristic of the early Superman movies with Christopher Reeves. When the hero is perfect, he's boring. We're drawn to morally complicated and troubled heroes like Batman, Wolverine, and Iron-Man. The flaws these heroes exhibit are what make them interesting and keep audiences returning more and more. Obviously Black Panther did not struggle to pull in audiences as evidenced by it's box-office, but I still think this is an issue, and it's something that I hope doesn't creep into Captain Marvel. At a time when many of these big blockbuster superhero movies are seen, or at least perceived to be seen, as cultural milestones for representation for previously sidelined groups, the temptation to tread on egg shells is evident. There's a clear sense watching Black Panther and Wonder Woman that great care and attention was paid to make these heroes the absolute definition of heroism and virtue. Indeed, neither of these heroes really goes on any kind of arc in their respective movies. Both begin their movie pretty much established as heroes. Whereas normally the first movie featuring a superhero is all about them learning about the responsibility of power or the folly of arrogance; neither Diana or T'Challa goes on a path like this, they begin the movie as an established hero and just become even more heroic as the movie goes on. If Captain Marvel is truly going to be the replacement for Robert Downy Junior's Iron-Man as the leader of the MCU after Avengers: Endgame, then she needs to be an engaging and flawed character, not necessarily a perfect one. 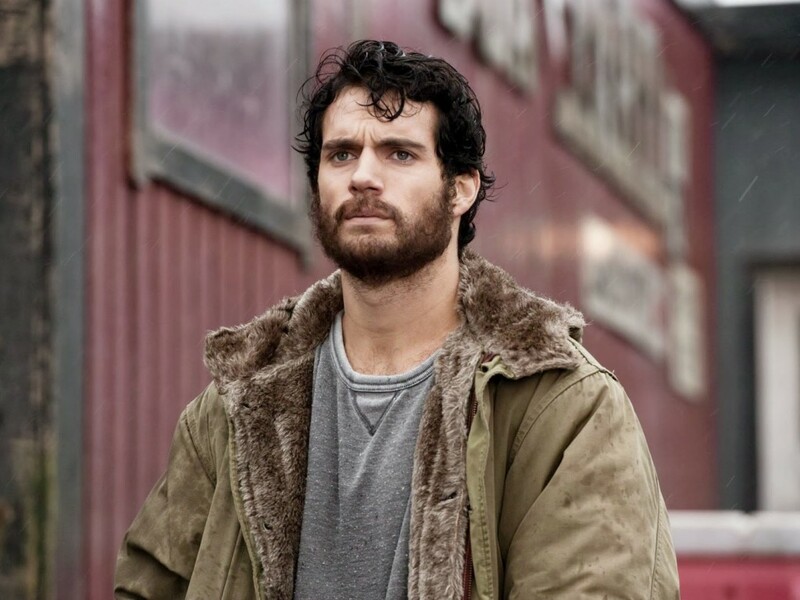 If you look at Zack Synder's divisive take on Superman in 2013's Man of Steel, it's clear that Synder worked very hard to make Kal-el/Clark Kent into a flawed human character, and not mimic the wide-eyed boy-scout optimism of Richard Donner's Superman in 1978; a fact further emphasised by the title of the movie: he's a man of steel, not a Superman. It looks as though Captain Marvel is going to be the MCU's answer to Superman, and certainly the trailers hint at the fact that this story will parallel, whether knowingly or not, many of Superman's characteristics, such as the fact that Carol is half human half alien, like Superman; she's flying through space in a very Superman-like manner; and she falls from the sky to earth just like the baby Kal-el in the Superman mythos. I just hope that in crafting her character the creative team haven't gone down the Mary Sue route in making her perfect in every way. To conclude, I don't intend any of this to be a hit piece on a movie and a character that no one has seen yet, it's just a worry I have regarding a character that will probably, for better or worse, lead the next batch of MCU heroes into the future after the likes of Chris Evans, RDJ, and Chris Hemsworth have retired from their roles. Brie Larson has a lot to live up to if you think about the incredibly large boots she's filling, but I'm sure she wouldn't have signed up to the movie if the character wasn't interesting, especially after her Oscar winning turn in Lenny Abrahamson's Room (2015).